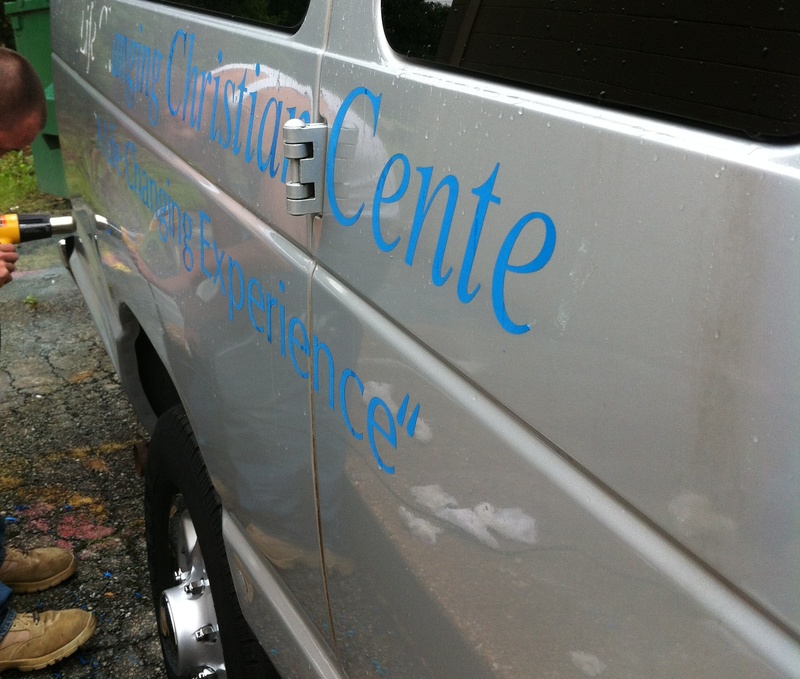 How to Remove Vinyl Lettering | New Image Inc.
Last week, one of our clients brought over a van for us to letter. 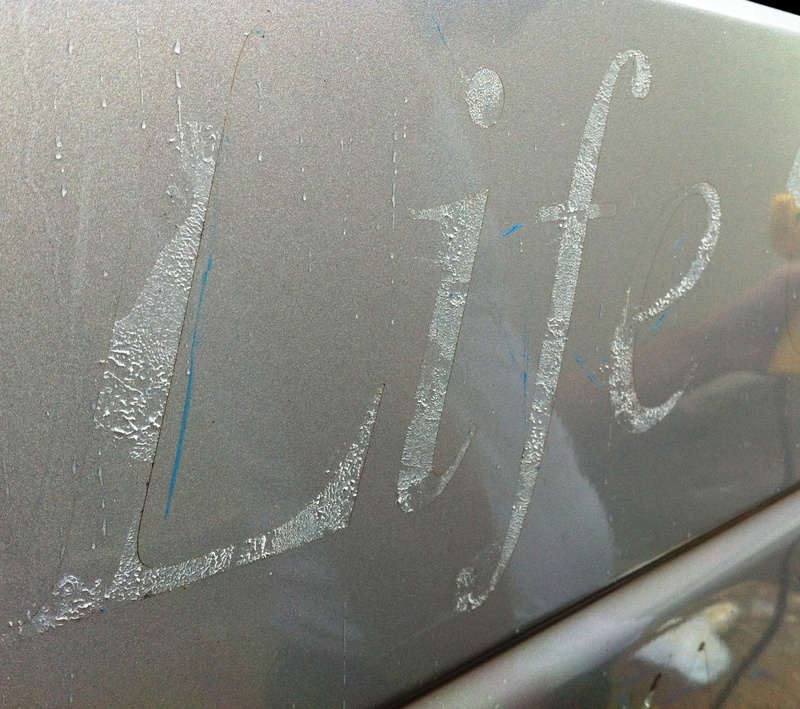 Vinyl lettering is a long-lasting, weather proof decoration tool that works well on vehicles, windows, and walls. 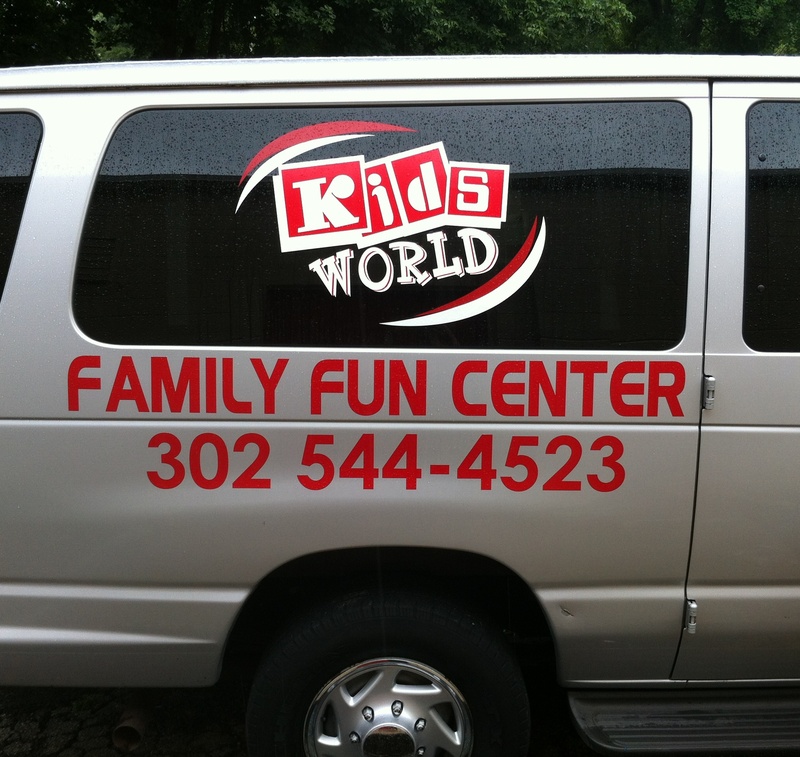 The van was not new and had old vinyl lettering that need to be removed. The best way to do this involves a heat gun, a squeegee, paper towels, and Rapid Remover (an all-natural, citric acid mixture). Start by pulling off the old lettering; heat will make this task much easier. We use a heat gun in short bursts to warm old vinyl, which allows it to stretch. You can do this without heat, but it will take longer. You can use a small, razor-sized squeegee like the yellow one pictured below, or rely on fingernails. Using a heat gun is the easiest way to get the old lettering to pull off. Glue residue leftover from lettering. It is surprisingly easy to remove the residue. Pour the rapid remover onto a paper towel and saturate the residue-covered surface. Give the liquid a few minutes to soften the residue. 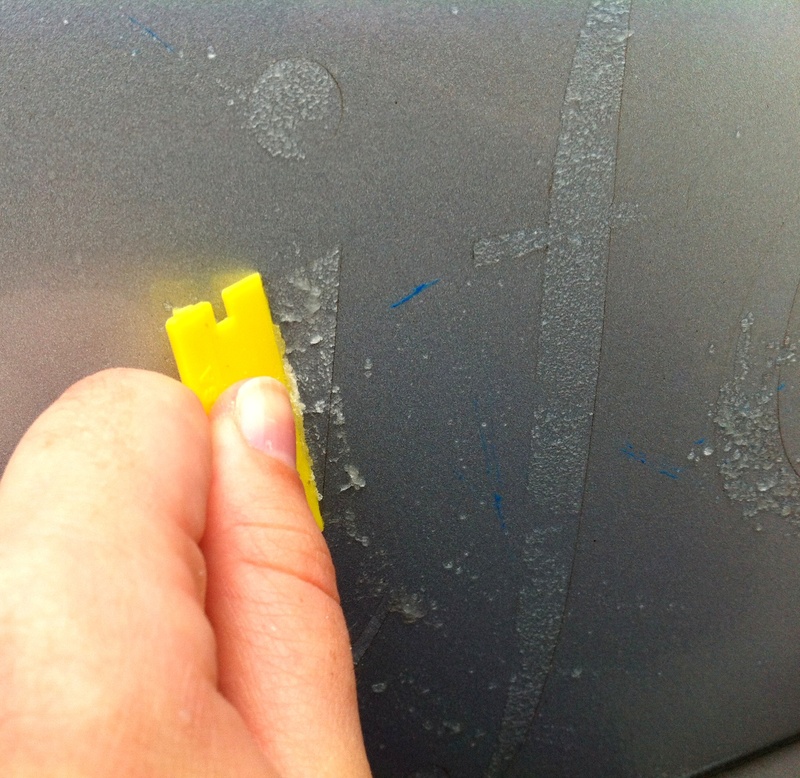 Then use a plastic squeegee to scrape off the residue. It’s better to use a normal size squeegee rather than the miniature one pictured. The glue residue will easily move around. I tend to push it into piles, scoop them onto the squeegee, and wipe off the squeegee with a paper towel. Use paper towels and another dousing with the Rapid Remover to clean the surface. Once the surface is clean, you can add new lettering. Here is the same section of the van with new vinyl lettering.